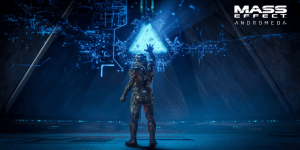 Andromeda To Have Side Quests Like The Witcher | Nerd Much? Open-world games have been ever more prominent in AAA games, though at a varying success rate. Especially when the apparently necessary sidequests turn hours of the game into tedious grinding. According to Mass Effect: Andromeda‘s producer Fabrice Condominas, Dragon Age: Inquisition suffers this tedium in spades. Personally, I don’t think Inquisition comes anywhere close to a Ubisoft game in terms of side quest tedium. I still haven’t forgiven Far Cry 4 for having such an awesome villain and such boring side quests. However, it seems that Andromeda will be taking hints from CD Projekt Red’s The Witcher series instead. In an interview with PC Gamer, Condominas claims that the studio will be tackling side quests with more thought than before, explaining that “we are approaching the completionist aspect very differently, because we’ve done and learned a lot from Inquisition. Well, such a thing shouldn’t be difficult if Andromeda has well written and developed characters. More specifically characters that have learned something (I’m willing to take anything at this point) by the end of an arc or loyalty quest. Do you think BioWare can pull it off for Andromeda? Let us know the comments below!